Our low cost business model allows us to purchase high-quality materials, resulting in products with higher durability and longevity. The price you pay is not elevated by unnecessary marketing, commissions or exponential margins. Reducing our physical footprint by going factory direct, lowering advertising costs and putting the customer first enables us to keep prices low. Our products are made with some of the highest quality materials available, supplied by the best foam, latex, coil, and fabric manufacturers in the country. Standard foams are rated with two main specifications: Density and Indentation Load Deflection (ILD), sometimes referred to as Indentation Force Deflection (IFD). These two specs put together can help determine the level of comfort, support and quality that foams provide. Density of foam refers to its mass per unit volume and is displayed in pounds per cubic foot (pcf). Simply put, density ratings help determine the amount of air/number of air pockets within the makeup of the foam. Lower density = more air = lower quality. Air pockets breakdown overtime causing slumping and a permanent divot where your body sits. The more air pockets, the higher chance of slumping. 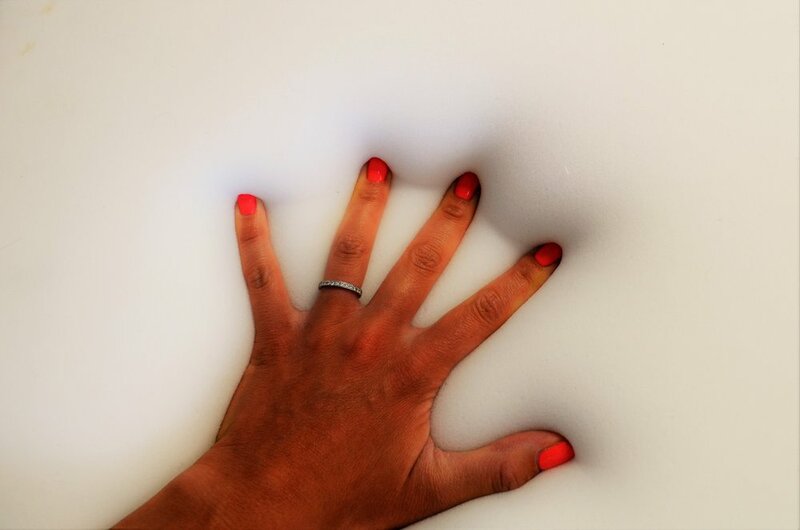 Foam density is traditionally measured by taking a 1 ft. x 1 ft. x 1 ft. block of foam, weighing it, and then dividing the weight by the volume (Length x Width x Height). For example, a 3 lb. block of foam would have a density rating of 1 pcf (3 lbs/ft^3). Standard foams used in mattresses are between 1.3 and 1.6 pcf. We don't mess with anything below 1.6 pcf. This is a little more complicated. ILD is measured to determine the firmness and load-bearing capacity of foams. Most foams are measured at 25% ILD, where R&D programs will take a 4" thick, 15" x 15" piece of foam and compress it to 3" (indented 25%, or 1"). The amount of weight it takes to compress the foam that 1" determines its ILD rating. For example, if it takes 60 lbs to compress the foam 1", the foam would have an ILD of 60. A foam with a higher ILD would be more firm (takes more weight to compress), while a firm with a lower ILD would be more soft (takes less weight to compress). Standard foams used in mattresses are between 15 and 70 ILD, although some foams go below and above. To put it all together, a foam's level of comfort, support and quality can be determined by the density and ILD ratings. Combinations of these two specs determine the softness or firmness and level of support. 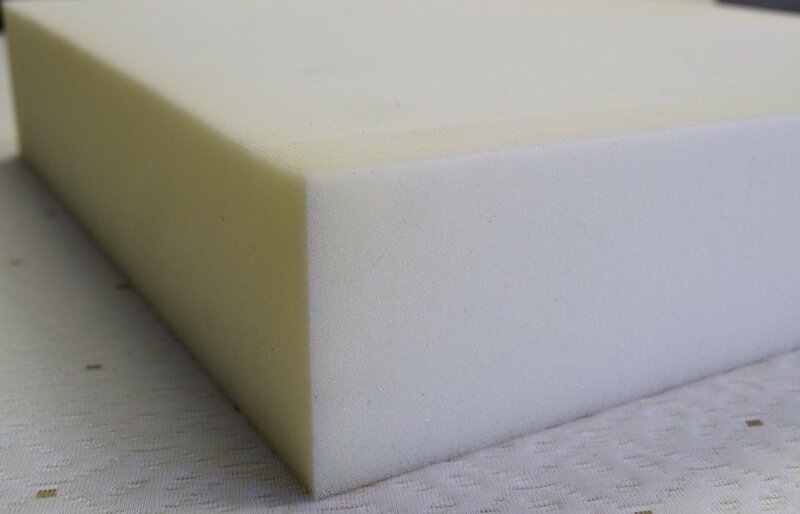 A foam with a rating of 1.6/70 would be a firm foam, due to it's mid-level density and high ILD, where a foam with a rating of 2.5/18 would be softer and conforming, due to the high density and low ILD. Most memory foams are on the high end with density and low end with ILD. Spring durability, conformity and support is measured primarily by the coil wire gauge and number of coils. The gauge is typically between 12 and 17, with larger numbers denoting thinner coil wire and lower durability. The coil count is represented as the number of coils included in a queen sized mattress. Coil counts vary from around 300 to 1800 with lower numbers denoting reduced conformity. The combination of these two determine the overall durability and support. Springs for mattresses come in many varieties, with the most widely used type being the Bonnell Innerspring. These are the traditional springs that you would expect to see with exposed, intertwined steel and are very similar to Offset and Continuous coil types. More and more companies are changing to individually pocketed steel coils, known simply as pocket coils, to enhance durability and reduce motion transfer. We use pocket coils in all of our mattresses. We'll explain a few key attributes of each below. This is the traditional type of spring based unit. 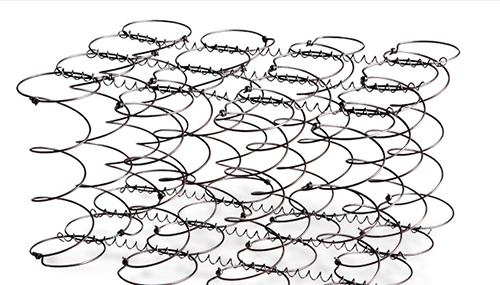 These innersprings are completely connected by steel, creating the feel of durability; however, motion is transferred very easily. If you move on one side of the bed, your partner on the other side can feel it. These are typically found in mattresses at low price points due to their low cost. In this configuration, coils are individually wrapped in fabric allowing more movement for each spring. This increased individualized motion provides better conformity and decreases motion transfer across the mattress. The fabric between the coils adds an extra buffer to minimize noise and maintains the structural integrity of the overall spring unit. The quantum edge is a more firm perimeter around standard pocketed coils that provides a more consistent sleep surface and reduces the feeling of "rolling-off". We offer the quantum edge in our Crash Plush mattress and custom options.